Plants from Holland is a website of our flowers and plant exporting company Florca Westland. We are fully specialised in the purchase, packaging and exporting of high-quality plants and cut flowers per air freight worldwide. 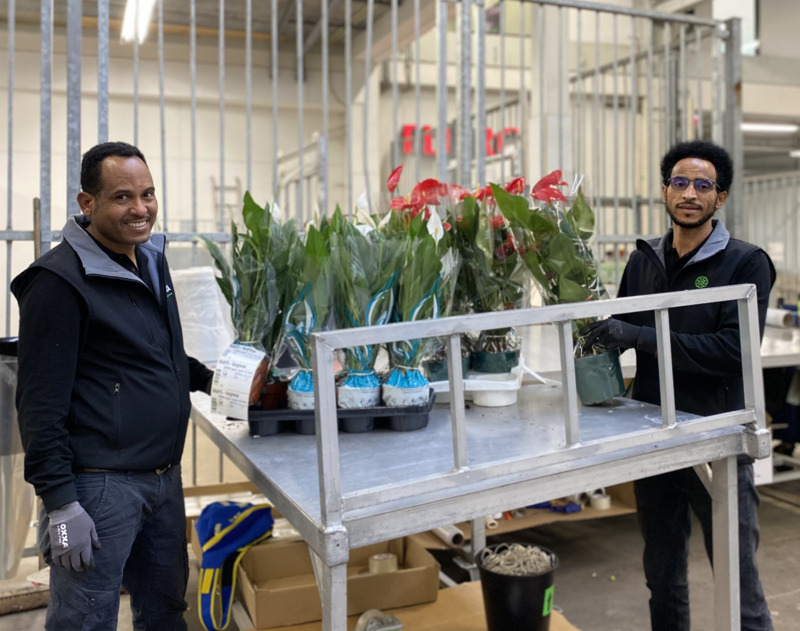 Located in the super-modern Trade Parc Westland industrial park in Honselersdijk, the Netherlands, we shop 750,000 kg of flowers and plants by air freight annually. The Gulf region and the Orient are our largest sales markets for plants. Within these markets we supply plants, flowers and accessories to wholesalers and florists, hotels and for special events. Our speciality in air freight has lead to Florca Westland being one of the few plant exporters that can offer plants online including freight costs (CFR prices). In our webshop, all of the offered plants are listed with a volume weight so that the air freight costs of each plant can be automatically calculated in the price per plant. Thanks to this you can see your exact purchase price including air transportation without surprises for every desired air freight destination worldwide. We are an official dealer of Decorum plants to far-away destinations. This growers’ association consists of about 70 carefully selected plant growers with a wide assortment of high-quality plants under one brand. Only the best product carry the quality label Decorum™. You can find the total assortment of Decorum™ plants in our webshop, where you can purchase directly from Decorum™ growers. Enter your contact information below and experience the ease of online purchasing from our export company specialised in air freight plants from Holland.